To celebrate Record Store Day 2015, Peter Yeung charts the best record shops in the movies, from High Fidelity to A Clockwork Orange -see the full list here at The Telegraph. 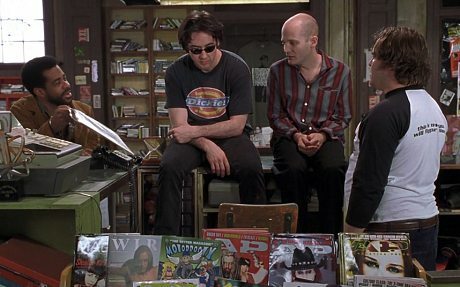 This is surely the quintessential depiction of the North American record store, with pugnacious and pedantic music geek Barry (Jack Black) and miserable, romantic audiophile Rob (John Cusack). Ringo Starr plays an unexpectedly central role in the relationship between Summer (Zooey Deschanel) and Tom (Joseph Gordon-Levitt). At first, the Beatle is a playful discussion point during some post-coital record-shopping, as their bond falters, the drummer becomes a grinding point of contention. 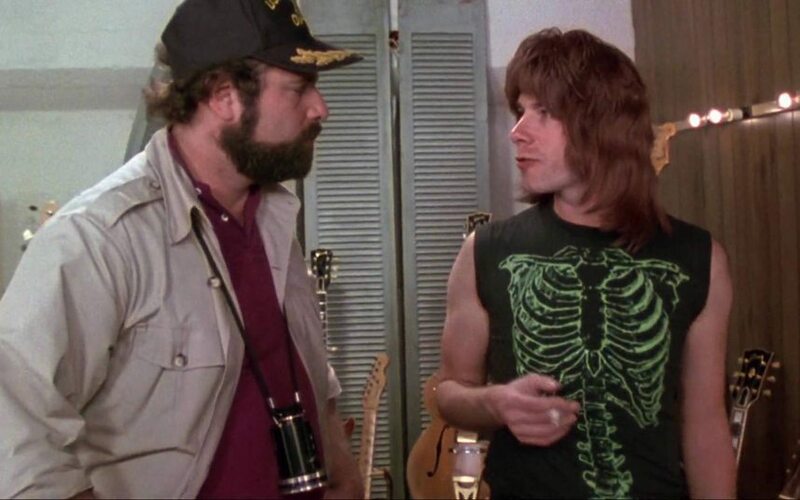 Of the many hilarious moments that this mockumentary has given us, it’s easy to forget Spinal Tap’s Smell the Glove LP signing session, for which only two people turn up – one, a bespectacled man who goads them into signing a different album (of assorted train noises), and another who starts an argument because their marker pen won’t show up on the black cover sleeve (“Tilt it towards the light!”). See the full list here at The Telegraph. Looking for original Vinyl Records? Check out eil.com. WOW!!! What a success last Saturday in Toronto. H.M.V., Kops Records and Sonic Boom were crowded beyond belief. Other record stores across Toronto had the same results. Many people in their 20’s, both boys and girls, buying vinyl. AWESOME!!!! 10″ LP Cassandra Wilson/Billie Holiday best find. Thank you all and keep spinning the vinyl.